Prepare 12 muffin pans with cooking spray and flour; set aside. Prepare skillet with cooking spray and heat on medium until hot. In a mixing bowl, combine flour, cornmeal, oatmeal, brown sugar, baking soda, and salt. In another mixing bowl, combine egg whites, buttermilk, and sour cream. Mix dry ingredients with wet ingredients just until moistened. Ladle in the batter, using three or more tablespoons per cake. Cook for two minutes, then flip carefully and cook for two minutes more. Repeat with remaining batter. Note: *Fat-Free Buttermilk: Combine 3-teaspoons vinegar with enough milk to equal 1-cup; let stand five minutes. RETURN to Low Cholesterol Recipe INDEX to find more low cholesterol recipes. 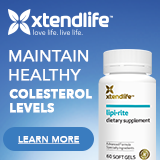 Want more information on cholesterol here? Just email with your cholesterol question. Also, please remember to check all the cholesterol and other information we provide you with, with your doctor and or dietician. We can provide information, but they will tell you if it's suited to you! But first, if you want to come back to this website again, just add it to your bookmarks or favorites now! Then you'll find it easy! Also, liked our content, then please consider linking to our site if you are a web master. Copyright © 2000-2008 Donald Urquhart. All Rights Reserved. All universal rights reserved. Designated trademarks and brands are the property of their respective owners. Use of this Web site constitutes acceptance of our legal disclaimer.